Bernina is an independent family business that manufactures and sells swiss quality sewing and embroidery systems . Bernina products are engineered for quality and performance. 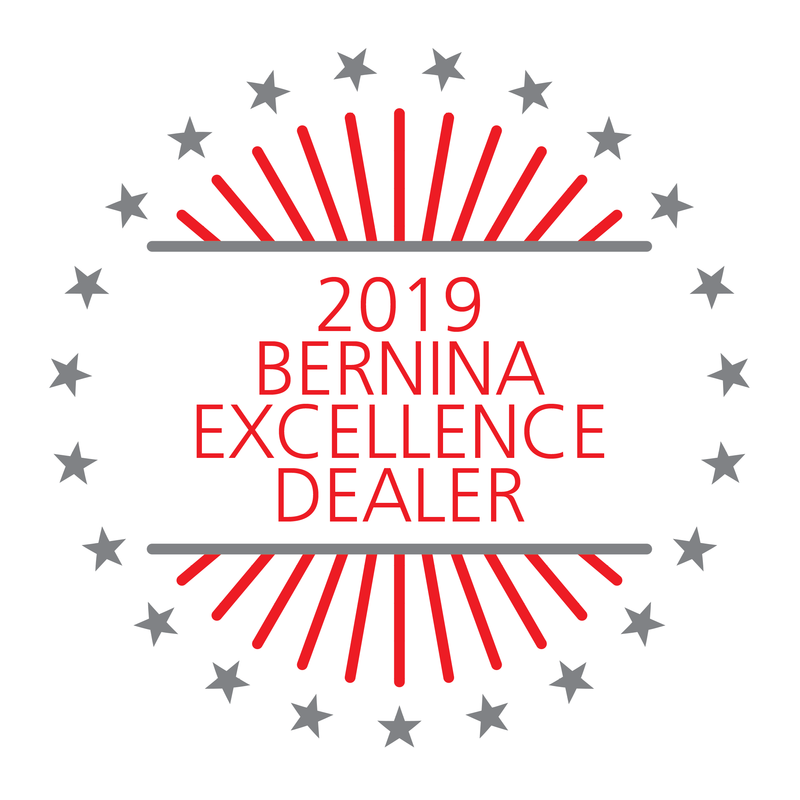 The Bernina 8 Series sewing and embroidery machines are unsurpassed in space, speed, and Swiss precision and provide the ultimate sewing experience. The Elna trademark has always symbolized quality, innovation and service. Today, Elna continues to build the company with these three elements as the foundation. Janome is the world's premier manufacturer of quality sewing machines. Whether you're a skilled sewist or an interested beginner, Janome's smart accessible machines can deliver the gorgeous, professional results you expect. Established in 1919, Necchi offers a tradition of excellent quality and innovative design. We carry sewing furniture from Koala, Horn of America, Kangaroo, Arrow, and Roberts. We carry an assortment of fabrics from cottons, to specialty fabrics from a variety of vendors. We carry threads for all sewing applications from a variety of suppliers, including, Mettler, Isacord, Floriani, Madeira, Superior, Aurifil, and Fil-Tec. Blaine’s also carries a selection of Daylight lamps to enhance your sewing room and a wide selection of sewing notions and patterns.